First seen in Wendigo, this shirt is uncharacteristically colourful. It’s a nice burnt orange and brown plaid. We then get to see the Supernatural crew figure out how to wash out that brightness, and the shirt appears much less vibrant in later episodes. Brand Information: Lucky Brand (99% positive). 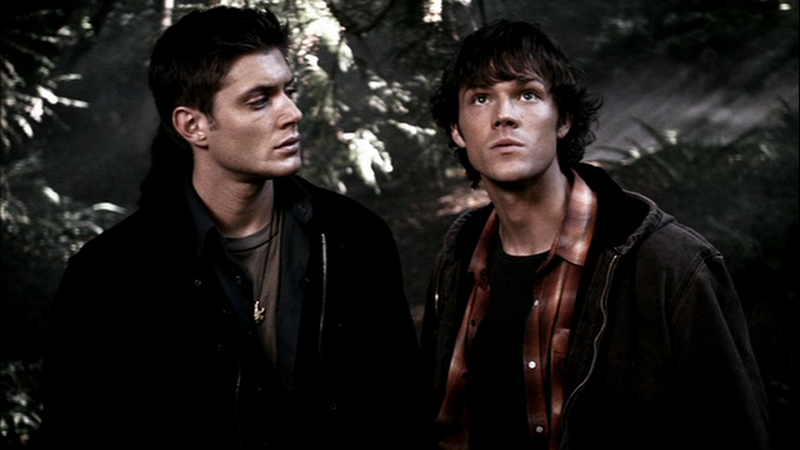 In Wendigo (1x02), Sam wears it when it’s time to go searching in the woods for whatever is eating hikers. 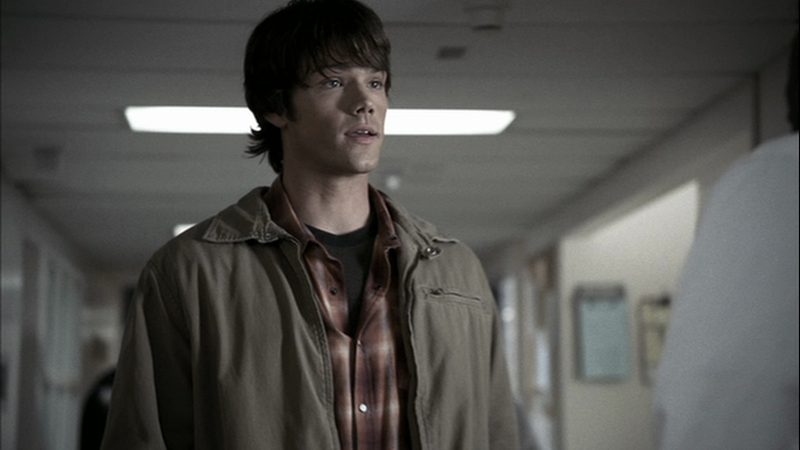 In Faith (1x12), Sam is wearing it when Dean is electrocuted and while at the hospital. In Hell House (1x17), Sam wears it when he and Dean check out the Hell House for the first time and do their preliminary research after meeting Ed and Harry.